Bad Boy Bill is a disc jockey (DJ) from Chicago, Illinois, U.S. who plays an assortment of house music. While only in his teens, Bad Boy Bill began his DJ career in 1985 during the Chicago house music movement of the mid to late 1980s. He worked with Mike “Hitman” Wilson and Julian “Jumpin” Perez of the WBMX DJ mixing team, known then as the Hot Mix 5. Bill’s popularity grew out of DJing parties throughout the Chicago metropolitan area, as well as opening for the Hot Mix 5. 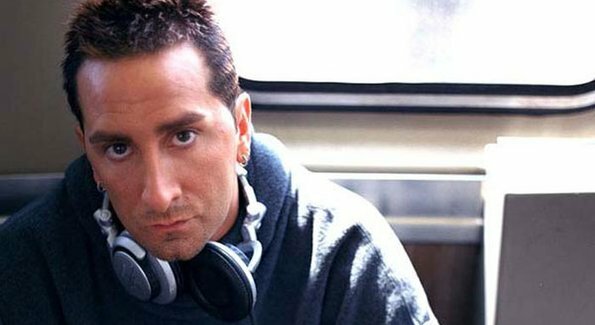 As a remixer, he landed his first Top Five Billboard Dance Chart hit at the age of 19 – Dada Nada’s “Deep Love which also featured remixes by House music legends Frankie Knuckles & David Morales, Robert Ozn and Steve Wight. Currently, Bad Boy Bill plays music ranging from House to Electro, and is known for playing six separate turntables at once. In 1988 and 1989, he was placed within the top three at the Disco Mix Club championships. Between 1987 and 1995, Bill produced a series of promotional mixtapes under the name “Street DJ Promotions.” These tapes were distributed out of Bill’s car to local Chicago area record shops, flea markets, and DJ gigs. These mixes included: Hot Mix #1–17, Non-Stop Hip-Hop, Flashbacks Vol. 1 & 2, Classics Vol. 1–3, Street Style 1 & 2, and Gettin’ Wicked. Bill has been credited with the idea of mass-producing mix tapes unlike before, and was apparently inspired by Andre Lopez, owner of the Hot Jams record store. This caught the attention of the Recording Industry Association of America and music publishing houses who were not paid any royalties from the use of copyrighted music on the vast number of mixtapes being produced and sold throughout Chicago by these many DJs. Bill then became a part of the licensed-mix movement and started Mix Connection Multimedia (MCM). He has been generally credited with being the first Chicago DJ to produce legally licensed mixes. Bill created MCM in 1995 to produce legally licensed mixes, and as an umbrella company for several side projects and record labels such as International House Records (IHR), Moody Recordings, Contaminated Muzik, Canvas Recordings, and Motus Music. MCM has most notably produced Bangin’ The Box Vol. 1–5, The House Connection (w/ Richard “Humpty” Vission) Vol. 1 and 2, and The B-96 Mixmaster Throwdown Vol. 1–5. Bad Boy Bill teamed up with Richard Vission to form a house DJ supergroup called The House Connection. They have released two mix albums, the last in 1998. In May 2006, Bill reunited with Vission in Dallas and Detroit for a two-day reunion show. In 2003, Bill released a CD/DVD mixtape titled Behind the Decks.